Fo Niemi, director of the Montreal-based Centre for Research Action on Race Relations (CRARR), said most of the students targeted by Ministry of Immigration, Diversity and Inclusiveness review come from either China, India or the Middle East. Quebec's Ministry of Immigration, Diversity and Inclusiveness faced allegations Tuesday of possible racial profiling and violating the constitutional rights of more than 500 international students whose French skills are the subject of an ongoing probe. 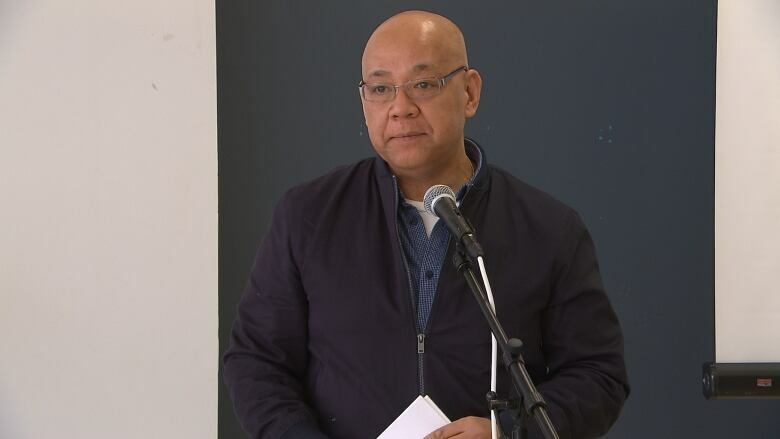 Speaking at a news conference, Fo Niemi, director of the Montreal-based Centre for Research Action on Race Relations (CRARR), said most of the students targeted by the ministry come from either China, India or the Middle East. "We're asking whether there are practices of profiling willingly, or unintentionally based on race, language and national origin of these students," he said. CRARR's concerns about a possible violation of their constitutional rights stems from a letter the students received from MIDI alleging that they "provided information or a document that is false or misleading regarding your level of knowledge of the French language." In a news release, CRARR legal team member Stephen De Four-Wyre said the claim is not backed by any evidence, and puts the onus of students to prove no fraud was committed. "The presumption of guilt is clear violation of the students' constitutional right to the presumption of innocence because it is an arbitrary reversal of the burden of proof onto each student," he said. The students all completed a government-approved language and vocational course called the Programme d'expérience québécoise (PEQ), often at a cost of thousands of dollars. Graduates of the program can apply for a Certificate of Selection of Quebec (CSQ), a fast-track toward permanent residency in Quebec. Niemi called on Quebec's ombudsman to investigate the MIDI probe of the CSQ applicants. "MIDI engages in heightened scrutiny and suspicion of mostly racialized international students by singling them out for differential treatment," Niemi said. "Key elements of racial profiling based on race, language and national origin are present." More than 500 CSQ applicants who took the program have received the letters alleging they provided false or misleading information about their French skills, and more than 300 have had their applications rejected after their French was tested. Those who fail the test may have to wait five years to re-apply for permanent residency. CRARR said its lawyers will help students whose applications have been rejected. MIDI has linked its review of the program to an investigation that is underway by Quebec's anti-corruption investigative unit, UPAC, into two Montreal-area school boards. The ministry isn't commenting on its review of CSQ files, citing the UPAC investigation.